Bucs for Better Basketball does not want the financial situation of a family preventing a player from participating within our programs and AYBT. Therefore, we offer two levels of financial assistance. First, GHAPS students who qualify for free or reduced lunches may apply for a scholarship through NORA when they register to play. This option exists for our Young Bucs Leagues. 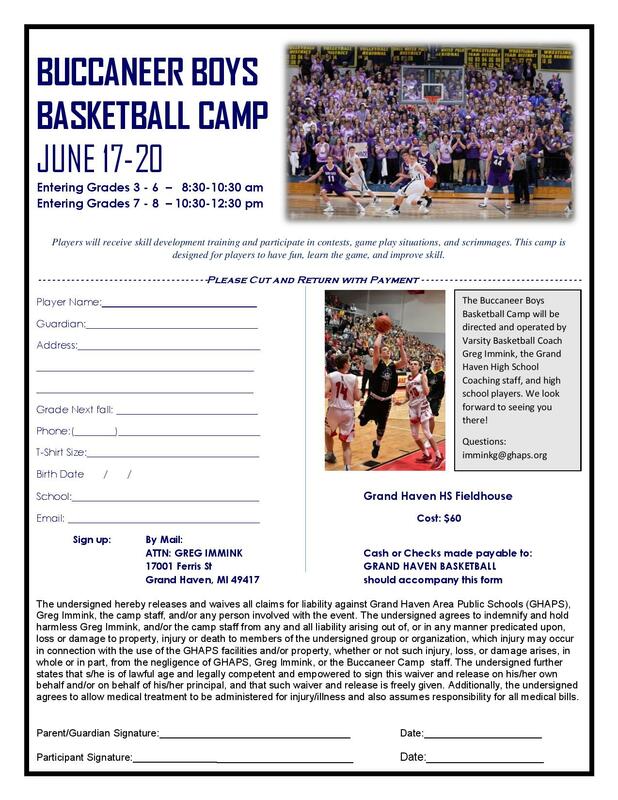 Second, GHAPS students who are part of a Fall or Winter Challenge Team and/or want to play on a Grand Haven AYBT summer travel basketball team may apply for financial assistance directly through Bucs for Better Basketball. To do so, please fill out the Financial Aid Application, found here, and send the application to B Cube’s president here. The president and at least one league director will review the application and provide a response. The ability to support the request will depend on the size of the request, reason for the request, B Cubed’s financial resources, and other considerations. Please recognize that receiving financial aid is not an entitlement and may not be granted. Finally, please note that we charge a minimal attendance fee for our Boys Winter Challenge League games. The money collected is used to fund our financial assistance program.